Keith Alan Byars (born October 14, 1963) is an American sports broadcaster and former American football player in the National Football League for the Philadelphia Eagles, Miami Dolphins, New England Patriots and New York Jets. Byars attended high school at the now-defunct Roth High School in Dayton, Ohio and Trotwood Madison High School, in Trotwood, Ohio. Byars was a tailback with the Ohio State Buckeyes from 1982 to 1985, under head coach Earle Bruce. In 1984, Byars finished second in the Heisman Trophy voting (behind Doug Flutie) after a season where he gained an OSU record 2,441 all-purpose yards, including a then-school record 1,764 rushing yards and 22 touchdowns. That season featured a game against Illinois (Ohio State won this game 45-38 on October 13, 1984) in which Byars led a comeback from a 24-0 deficit, rushing for 274 yards and five touchdowns, the last with 36 seconds remaining in the game. On his fourth touchdown run, going for 67 yards, he famously lost his left shoe at the Illini 40 but never broke stride. Byars was a unanimous first-team All-America selection, and voted the Big Ten Conference Most Valuable Player. His running backs coach that year was a young Jim Tressel, who would later become the Buckeyes' head coach. Byars was a preseason favorite for the 1985 Heisman, but fractured the bone in his right foot near the little toe in preseason practice. He missed the first five games of the 1985 season, and returned too early. He reinjured the broken bone in his second game back and missed the remainder of the regular season. He attempted to return for the Citrus Bowl game on December 28, but injured his foot again in the second Ohio State offensive series of the game. Many observers note that throughout the remainder of his football career Byars was never as dominant a player as he had been in 1984. As a professional, he played fullback and tight end for the Philadelphia Eagles (1986–1992), Miami Dolphins (1993–1996), New England Patriots (1996–1997), and the New York Jets (1998). 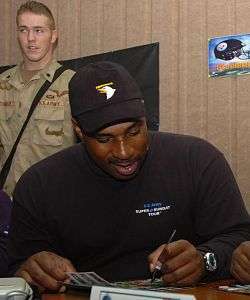 Byars was selected to the Pro Bowl in 1993. A superb rusher, blocker, and pass receiver, Byars was a vital contributor for every team he played on. In 1988 he rushed for 517 yards, recorded 71 receptions (ranking him 9th in the NFL), and scored 10 touchdowns. In the Eagles 20-12 loss to the Chicago Bears in the postseason, he rushed for 34 yards and caught 9 passes for 103 yards. In 1990, he recorded 81 receptions for 819 yards, the third most receptions in the NFL, rushed for 141 yards, and even completed 4 of 4 passes for 53 yards and 4 touchdowns. In the 1996 season, Byars made his first and only championship appearance, playing with the Patriots in Super Bowl XXXI. His team lost the game 35-21, but the 33-year-old Byars had a good performance in it, catching 4 passes for 42 yards and a touchdown. As a member of the New York Jets in 1998, Byars is unfortunately best remembered for fumbling during the AFC Championship Game against the Denver Broncos (which the Jets were winning at the time, 10-0), which led to the Broncos scoring 23 unanswered points and winning the game. He is currently a television analyst for "New York Football Weekly" and This Week in Football on the YES Network. He also coached the Boca Raton High School varsity football team in Boca Raton, Florida from 2009 to September 2011. He is married to gospel musician, Margaret Bell-Byars. ↑ "The Ohio State Buckeyes Official Athletics Site:Keith Byars". Ohio State Buckeyes. Retrieved 22 August 2010. ↑ Goodman, Harrison (January 29, 2014). "New York shares sports history with Denver and Seattle". New York Post. ↑ "Biographies: Keith Byars". Yes Network. Retrieved 22 August 2010. ↑ "Ex-Dolphin Keith Byars out as Boca Raton football coach". South Florida Sun-Sentinel. September 22, 2011. Retrieved January 1, 2012. Wikimedia Commons has media related to Keith Byars.